Doctor Who began in 1963, less than two decades after the Nazi holocaust had been brought to an end. Yet the programme’s earlier years reflect an alarming degree of anti-Jewish stereotyping on the part of postwar British society. In “The Web of Fear” (1968) we meet Julius Silverstein, a central European Jew who owns the sole surviving robot Yeti, a menace which the Doctor had encountered in his earlier adventure “The Abominable Snowmen” (1967). Julius’ friend Professor Travers implores him to part with the Yeti, on the grounds that a control unit sphere has gone missing and is in danger of reactivating the Yeti. But Julius is so obsessed by his material possessions that he is impervious to reason. 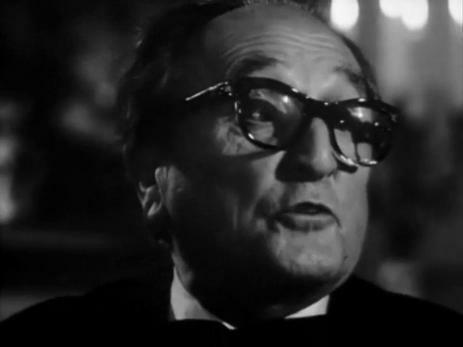 “You vont to rob me…nobody destroys Julius Silverstein’s collection! Nobody! The Yeti is mine!” Julius’ excessive materialism costs him his life, when his precious Yeti is reanimated – and kills him. The stereotyping involved in Julius Silverstein's character wouldn’t be so bad were it a one-off. Alas, in “The Creature from the Pit” (1979) we meet a Jew from outer space. This is the bandit leader Torvin, who is performed as Charles Dickens’ Fagin (he variously calls his colleagues “my lovely boys!”, “my beautiful boys!” and ultimately “my rich boys!”). 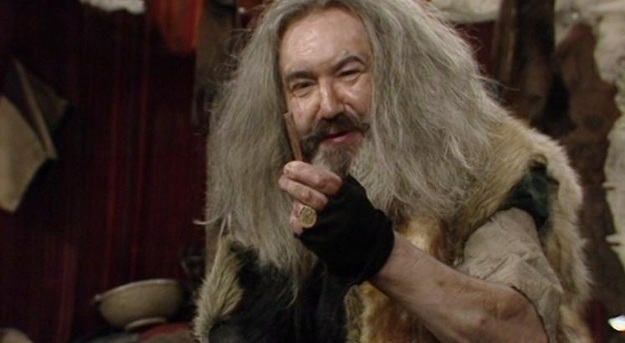 Torvin lives on the planet Chloris which is rich in vegetation but has scant metal, a material which therefore obsesses him: “metal, metal, metal: I’ll put my trust in this solid metal!” He sees people (such as the Doctor’s companion Romana) largely in terms of their monetary worth. He also proves himself entirely self-serving, having to be repeatedly reminded by his gang that he should be fighting for their collective wealth not just his own. Once again his materialism proves fatal, yet even Torvin’s last, comic, words are materialistic: as he dies he admires the metal of the blade with which he has been stabbed. It is a great pity that Doctor Who’s crude anti-Jewish racism prevented the programme from engaging properly with the Jewish story. By contrast, in the Star Trek Deep Space Nine episode “Duet” (1993) a space station has a visitor who seemingly ran a forced labour camp in which one alien species persecuted and perpetrated genocide against another alien species. The episode raises mature issues of responsibility and of the distinction between justice and vengeance which were highly relevant in the quest for Nazi war criminals. It is not too late for contemporary Doctor Who to atone for its past stereotyping by treating these issues seriously.